Microphones do not have to be a boring grey color. They can have style! Neat Microphones, a member of the Gibson family, have two lines of aesthetically pleasing microphones that look like pieces of art. They look as awesome as they sound! 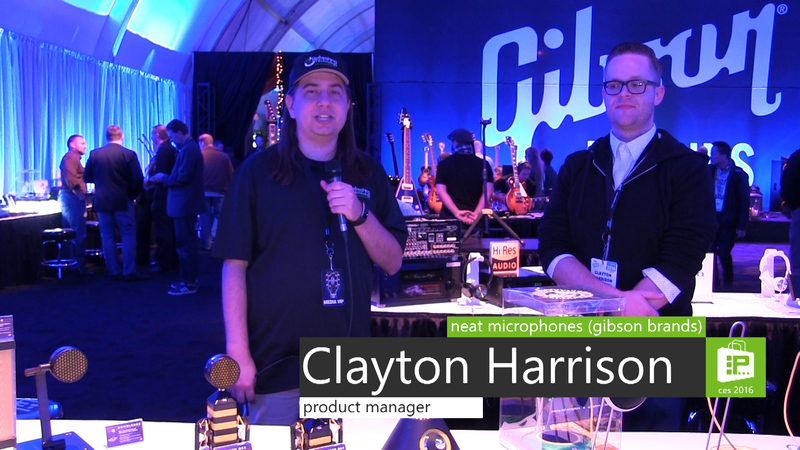 Scott spoke with Product Manager of Neat Microphones, Clayton Harrison, at CES 2016. They talked about both the Bee Line and the Widgets line of microphones. Each style shows that microphones don’t have to look dull – they can be fun! Four of the microphones in the Bee Line are available now. All of them are high end USB mics. The Beecaster and the Bumblebee give you high quality, professional, results without the need for all kinds of extra equipment. The Bumblebee is intended for speech (and would be great for podcasting, Skype, and video blogging). The Beecaster has stereo capability and is good for music. Each comes with microphone pre-amps. They have headphone output and headphone amplifiers – which let you do direct monitoring without the latency associated with USB. The King Bee and Worker Bee mics are for professionals and aspiring professionals who already have a rig. They are also great for podcasting and provide top notch sound. The Widgets line have a super fun aesthetic and would be great for YouTube or Twitch where a person can be recording and seen at the same time. The microphones in the Widgets line are $99 each. You can find more information about the Bee Line microphones, and the Widgets line of microphones at NeatMic.com.